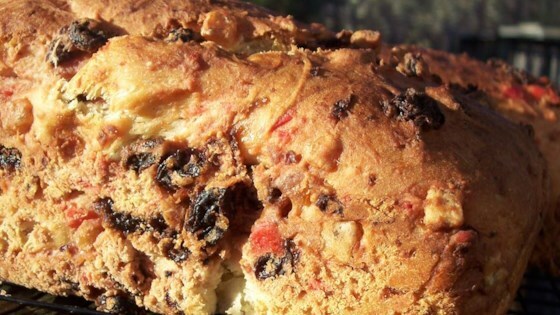 "This is a Swedish Christmas Bread with candied fruits and a yummy cardamom flavor." Scald milk, and add melted butter or margarine, salt, sugar. When lukewarm add to yeast and water. Stir in 4 cups flour. Cover, and place in a warm place. Let rise for about 2 hours, or till doubled in bulk. Punch down. Stir in cardamom, cherries, raisins and citron. Work in remaining flour until soft dough forms. Let rise in warm place for 2 to 3 hours, or until doubled. Knead slightly, and form into 4 round loaves. Place on greased cookie sheets. Let rise for 1 to 2 hours, or till doubled. Brush loaves with beaten egg white. Bake at 350 degrees F (175 degrees C) for 30 to 40 minutes, or until golden brown. This is a wonderful Norwegian bread!